The Voorhees childcare facility celebrated the Philadelphia Eagles’ first Super Bowl win. Students sported Eagles colors, sang the team’s fight song and participated in several other activities in celebration of the big game. 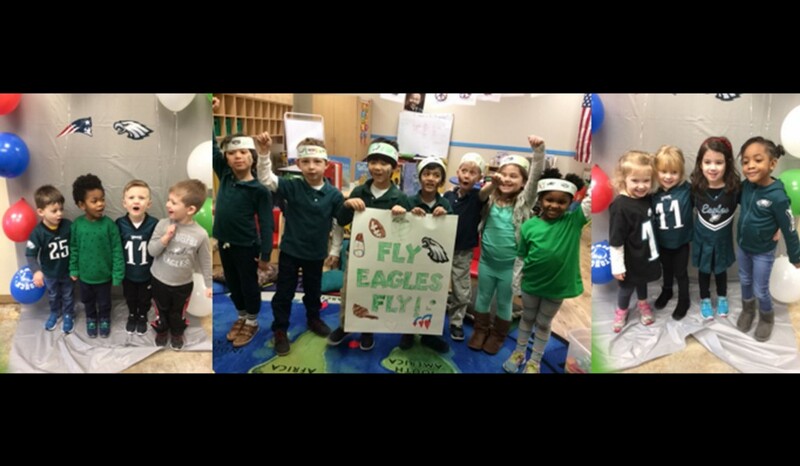 Students at Chesterbrook Academy Preschool in Voorhees recently hosted an Eagles pep rally in support of their local team’s participation in the big game. Students sported Eagles colors, sang the team’s fight song and created signs and banners in celebration. The school was one of more than 20 Chesterbrook Academy Preschools in Pennsylvania and New Jersey that hosted a pep rally to cheer on the Eagles.